A huge part of our appearance is influenced by your skin and nowadays, everyone wants glowing skin that appears youthful. Good skin can make a huge difference and can definitely make an impression on people. 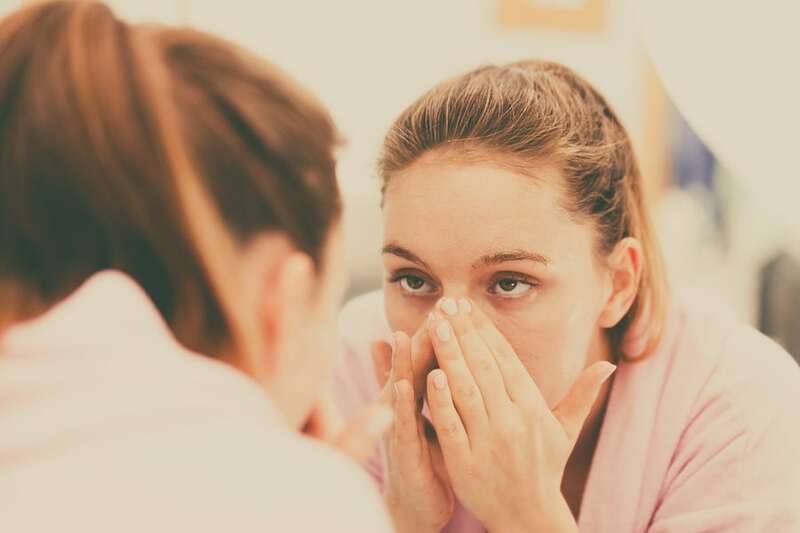 While our genes do contribute a lot to our skin’s complexion and overall appearance, a large part of the way skin looks like is based on your own habits and other different factors that influence your skin. If you’re wondering how you can keep your skin looking fresh and young, the following are a few things to keep in mind. Your diet plays a huge role in your appearance since your body processes it, not only to create energy but also to nourish your hair, skin, nails, and more. The saying, “You are what you eat,” is true in that anything you eat will “show up” on your face. For this reason, you need to be more conscientious about the foods you consume. For clear skin, stick to a balanced diets including complex carbs, non-processed fats, proteins, and amino acids. Get rid of the junk food and your skin will thank you. A good night’s sleep is a necessity, not only to refresh your tired mind but also to give you that well-rested, glow that will have everyone talking about your skin. Beauty sleep is a necessity since your body refreshes and processes all the toxins and flushes them out as well as rebuilds skin cells and more. Without proper sleep, the strain and fatigue your body is going through will start to show on your face. Your skin will appear dull and your dark circles will be more prominent. The earlier you start a skin care regimen, the healthier your skin will be. As our bodies age, they slowly stop producing elastin, collagen and other hormones and enzymes which your skin needs. With a skin care routine, you can nourish your skin and help it deal with this slow loss. Moreover, your skin needs extra help to deal with all the dust, grime and dead skin cells which accumulate on your face throughout the day. With proper skin care, you clean your skin, nourish it, moisturize it and help it weather the years more easily. One of the biggest contributors to bad skin is stress. You can blame early wrinkles, lack of sleep, a poor diet and more on stress. The best thing to do is to indulge in activities such as meditation and yoga that center on reducing the stress that you feel throughout the day. In this manner, you can easily reduce stress and ensure that your skin appears younger, looks healthier, and you’re also stress-free and relaxed. Looking after your skin doesn’t have to be hard: just remember to be consistent and the results you get will speak for themselves here. If you are worried about the appearance of fine lines in your face, you should speak with Dr. Jacob Rispler at LDI to discuss the advantages of non-surgical laser facelifts. LDI laser treatments combat wrinkles and blemishes such as acne while being entirely non-invasive. Call Dr. Rispler to set up a free consultation: (866) 809-1102!